Meadow flowers are colorful, cheerful and triggers passion within a viewer. 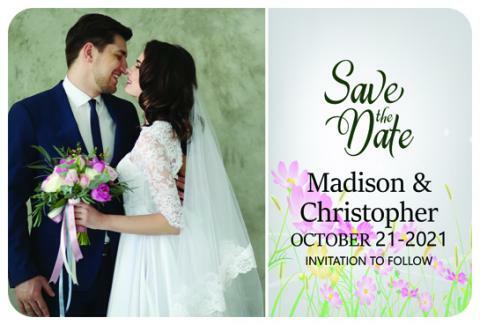 If you are going for meadow wedding, then feel free to grab a custom 4.5 x 3 inch meadow flower save the date round corner magnet for announcing your happiness. Personalized 4.5 x 3 in meadow flower save the date round corner magnets can be sent as a wedding reminder and people will happily retain it over their refrigerator doors. Product Size : 3 in. x 4.5 in.